Heading north on US-101, take G18 northwest for about 20 miles to main gate. If heading south on US-101, take G14 southwest for about 19 miles to main gate. 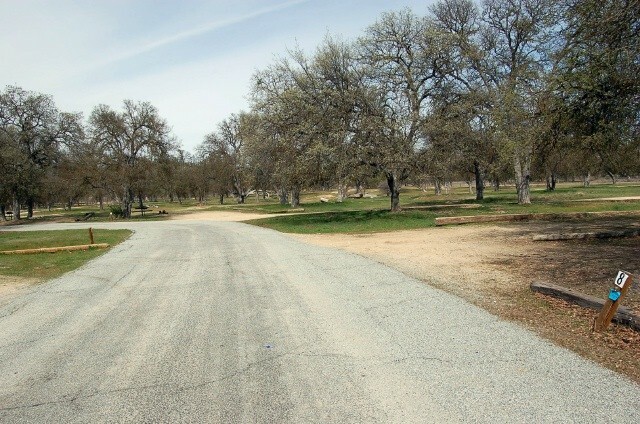 After passing through main gate, make an immediate left on Alamo Road. Go about .5 miles to right in fork to campground. Campground is self-checkin. $2 per night fee for each pet. Allowed with usual leash and clean-up rules. 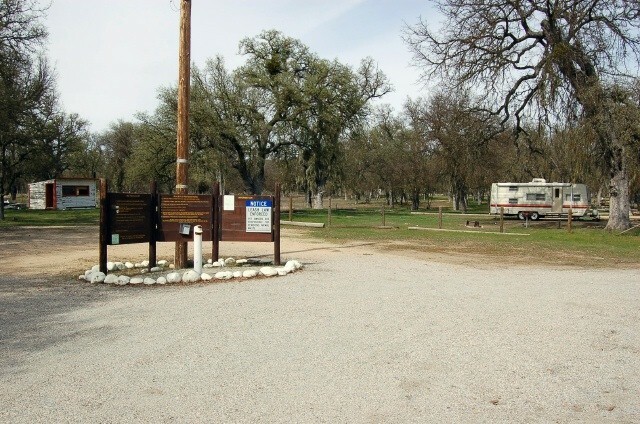 This campground is open to the public and is the central point for the large hunting and fishing activity. 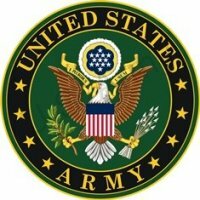 Campground may close due to training exercises. Most sites have BBQ and picnic tables. Room in many sites for big rigs. No dump or showers. Water spigots around campground, as are porta-potties. 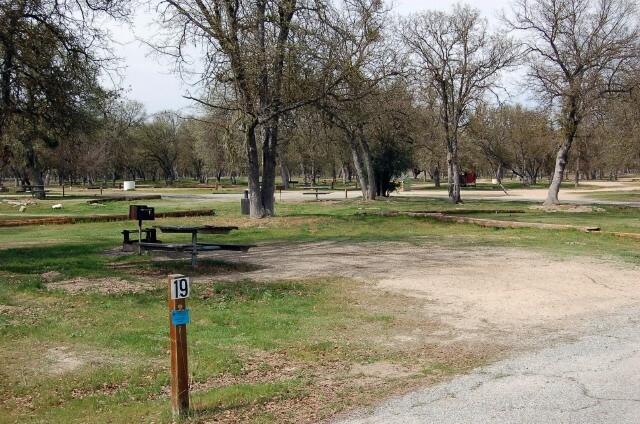 Very nice, quiet, shady rural primitive campground. RE location -- if you hunt, fish or want to get away from everything and enjoy nature, this is a great place. Apparently quite popular with fishermen and hunters, but during our visit, there were only 3 reserve group areas that had occupants. 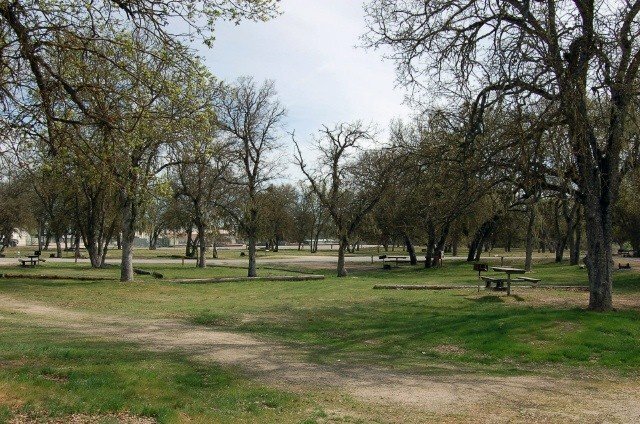 Keep in mind that this site costs the same as Camp Roberts and Camp Roberts has full hookups and is closer to amenities. Stopped by to visit. The campground is much larger than I expected. There's room for big rigs to maneuver and stay in many of the sites. The campground was empty during our visit. Currently a quiet campground, but probably gets busy during hunting season. Although it's open to the public, the campground is on base. The public needs to get a visitors pass and only be there to hunt or fish. Although there's plenty of picnic tables at most of the sites, many are broken. This would be a nice place to get away and relax, without any frills. As long as you don't need any type of hookups.